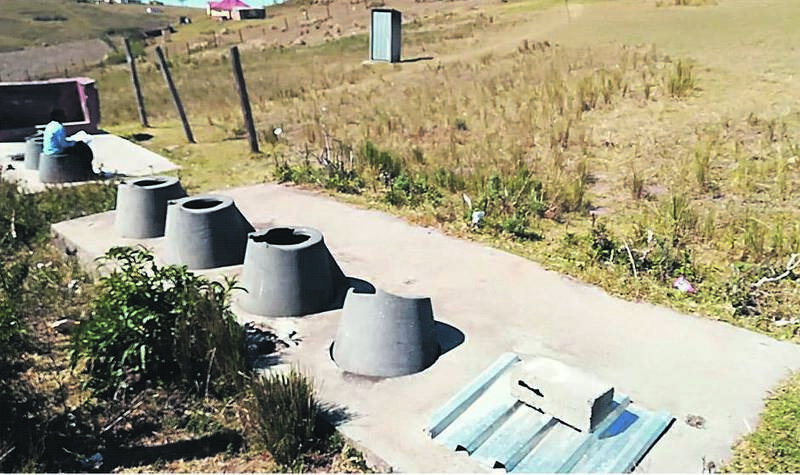 An Eastern Cape school, where a child almost drowned in a toilet, now has no toilets at all after its old pit latrines were demolished and its temporary toilets were removed because the education department didn’t pay the bill. Now pupils at Dalibango Primary in Centane have to relieve themselves in the bush because the provincial department failed to pay for the mobile toilets for three months. The department hired 14 toilets in January after City Press reported that a five-year-old girl almost drowned in one of the pit latrines, which were then demolished. 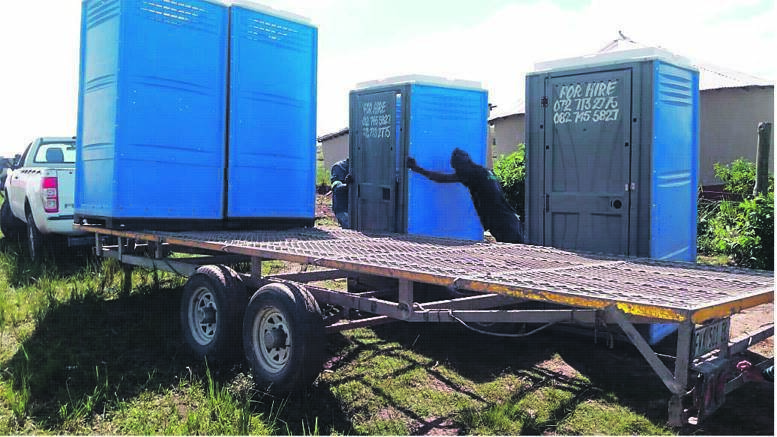 School governing body chairperson Thembile Phiti confirmed that the toilets’ owner removed the toilets last week, saying he hadn’t been paid since January. “We are very disappointed. We were beginning to appreciate the help from our government. We don’t know what to do anymore. The children are now forced to relieve themselves in the bushes. We are very worried especially for the young ones who are not safe,” Phiti said. “How could our government do this to us? What is worse is that even those old pit latrines that were here before have been demolished by the department but they have not built any new structures. Phiti said on Friday that principal Lulama Matshiliza held a meeting with the school governing body to tell it what happened and would meet parents after Easter to find a way forward. “This is just embarrassing. Our government does not care about people who live in rural areas. I mean what is so difficult about building toilets for our children? “If a whole department of education, which has the biggest budget in the province, cannot build toilets, can’t they at least pay for those they hire? “This is a disgrace and shame. Our children do not deserve this,” Phiti said. Matshiliza confirmed the toilets were removed. “The department is aware of the situation and they said they are dealing with it. But at the moment we are back to square one. We are still waiting for a solution but at this stage there is nothing we have been promised,” she said. It was a squabble over a toilet seat at Dalibango Primary, 35km south of Butterworth, that ended in the five-year-old girl falling into an open hole. She was saved by an old desk frame that was stuck inside the toilet. Provincial education spokesperson Malibongwe Mtima said the school was identified for help by the Presidential Sanitation Appropriate For Education (Safe) programme. He added that the toilet provider’s payment claim “coincided with the end of the financial year”. “Despite the R230 million we received from the department of basic education as an additional top up of our infrastructure grant, we still remain with a mammoth task... The department requires R70.1billion to be able to replace all inadequate school infrastructure,” Mtima said.